The future of one of the world's oldest horse drawn tramways has been secured after the Isle of Man's parliament pledged to continue funding the service indefinitely. 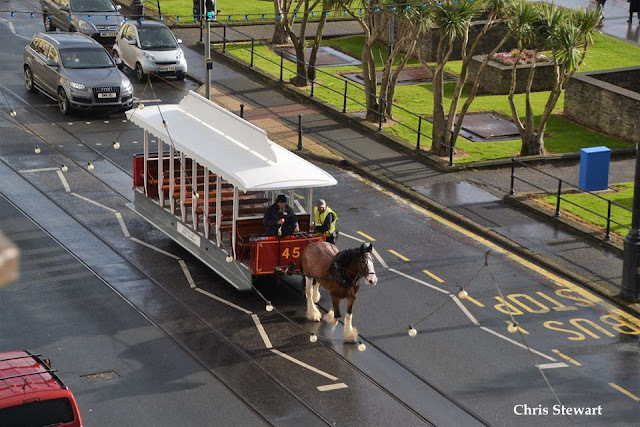 Politicians voted to approve a £1.5m financial package for a new horse tram depot in Douglas. The government took over the running of the service in 2016 and had committed to paying for it until 2018. The service had previously been operated by Douglas Borough Council. The Department of Infrastructure's (DOI) plans for a new depot at Strathallan will see the existing structure demolished. It will be replaced with a modern building which will recreate the original 1896 facade of the first floor. Two thirds of the ground floor will house 13 historic horse tram cars. Office accommodation and staff facilities to replace the existing temporary Manx Electric Railway depot at Derby Castle will also be added, at an additional cost of £483,108. The DOI said the extra funds would be found from its own budget.